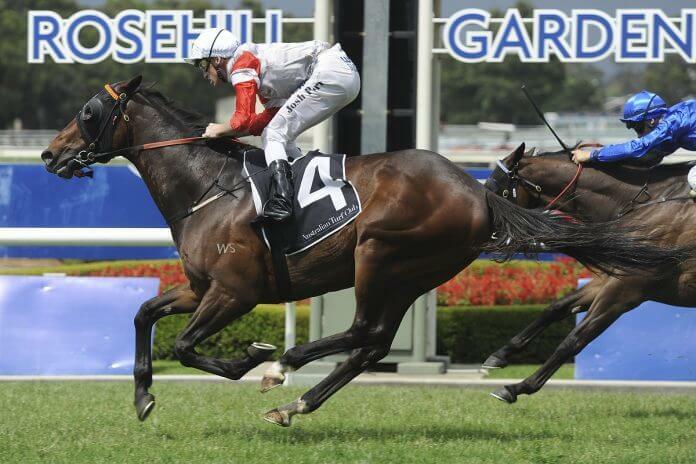 Shane Adair's race reviews and blackbookers from Saturday's Rosehill meeting. Cross Stitch (4th) – First four across the line all Waller! This filly sat on a hot speed where the field was strung out over at least ten lengths. Revved up before the turn Cross Stitch hit the front, however was swamped by the swoopers in the last 200m and battled on strongly to just finish outside the placings. In slightly easier race (maybe back to the fillies) she will be winning soon, as it was a very strong run. New Universe (1st) – Settled at the tail on what was a strong speed. Hooked out to the middle of the track in the straight, he produced a very strong last 600m to win going away at the line. Very impressive and looks to have a future. Keep following. Careless (2nd) – Settled on the pace and was pestered by Kingsguard who raced outside of him. Turning for home Careless gave a strong kick, unfortunately the winner just had a much softer run in transit to get over the top of it in the last 100m. It was a brave run and he held the rest of the field easily. Looks ready to peak next start. Chandana (3rd) – Settled a bit further back than expected and commenced a mid-race move, circling the field in a three-deep position. Once into the straight he battled away to line to finish third without ever looking like the winner. I thought the run was very good and he can be followed again this preparation with confidence. Torpenhow (6th) – First-up, settled well back in the field and was always going to be set a task. Heading down the straight he was unable to get the clear galloping room and needed to produce his best, and went to the line with more still to give. Still on the up and can be followed this preparation. Machinegun Jubs (3rd) – Settled last in the run and hooked to the middle of the track in the straight. She has unleashed for very strong last 600m / 400m splits to just miss the winner. If t he race goes another 50m, she wins. If placed back into the right class a win is just around the corner. Keep following.